Costa Rica was the host of this year’s Copa Centroamericana (UNCAF), an international football championship for national teams within Central America. The participating members of this league are Panama, Nicaragua, Costa Rica, Guatemala, Honduras, El Salvador and of course Belize, the only English speaking national team in the Copa Centroamericana. The games began on Friday, January 18th when Belize took the field against the home team Costa Rica in the inaugural game. Belizeans across the country made plans to ensure prime viewing; many headed to sportsbars, while some hosted friends at home, and others just had a quiet night of viewing, ready to cheer on their beloved Belize team. At 8PM, the National Belize football selection was on the field with the players’ minds focused on a strong defense throughout the game. Costa Rica’s first goal attempt came within the first few minutes, and Belize’s defense stepped up, blocking the first of many attempts. Team Costa Rica was determined for a win, but Belize was not backing down. By the time the whistle blew to signal the end of the first half, there was no score on the board; Belize had held its ground to Costa Rica. That was not the case for the second half of the game, when Costa Rican forward Jairo Arrieta managed to sneak a goal past Belizean goal keeper Woodrow West. It was the only goal of a well-defended game, as all other attempts to score were unsuccessful. Costa Rica worked hard for its 1-0 victory, and even though Belize did not win, they still delivered an exciting match that the Costa Ricans will not forget. However, the weekend was not over yet, as Belize took to the field once more, this time against Guatemala. Any Belize-Guatemala game is always a matter of pride, considering the countries’ political differences. 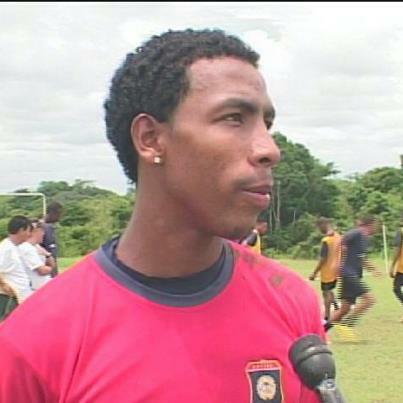 On Sunday January 20th, the longtime rivals, considered to be far superior in football to Belize, longed for victory. The game started at 2PM and there was much tension as Belizeans watched the match diligently and for the first quarter, Belize managed to hold on blocking every single shot to goal and even making several fruitless attempts at Guatemala. 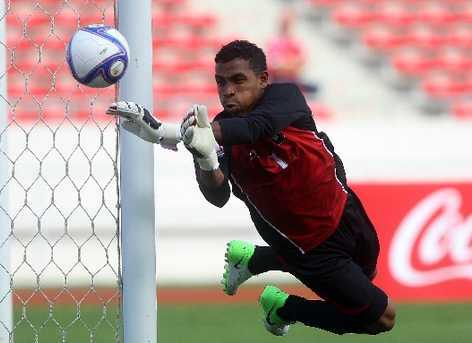 Belizean goal keeper Woodrow “Wilson” West gave a stellar performance, having managed to block all goal attempts from Guatemala. In the second half of the game, Belize could not capitalize on several attempts, but managed to end the game with pride, as the Guatemalan national selection couldn’t score against what they believed to be an inferior team. The game ended nil to nil, but for many Belizeans, that may as well have been a victory. Belize has 1 point so far, and has the opportunity to qualify for the next round if they can defeat Nicaragua in the third and final game in the first round. That game is scheduled for Tuesday January 22nd for 4PM. The top five leading teams in this tournament will qualify for the 2013 CONCACAF Gold Cup. Belize’s goal is to make the Gold Cup and their chances seem high due to great performance by goalkeeper Woodrow West and a team that is seeking redemption, bringing high defense and quick counterattacks. Belize would make history if they were to qualify for the most important tournament by CONCACAF. Already, many football commentators are expressing their surprise in Belize’s improved ability on the field; something not seen in recent years. Go Team Belize, Go!